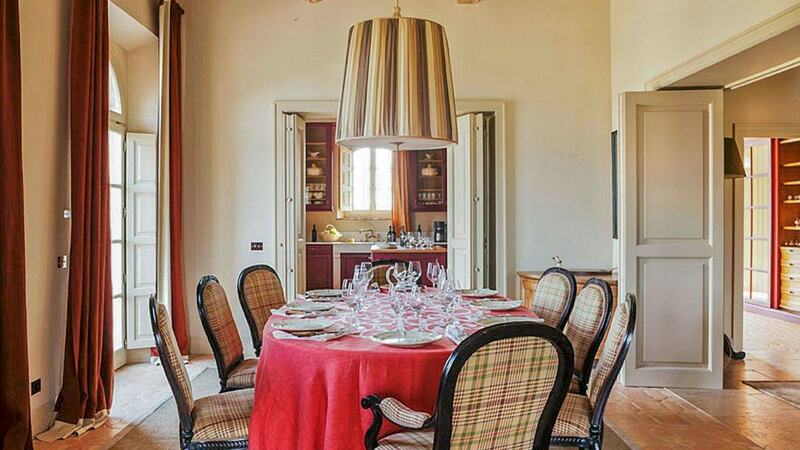 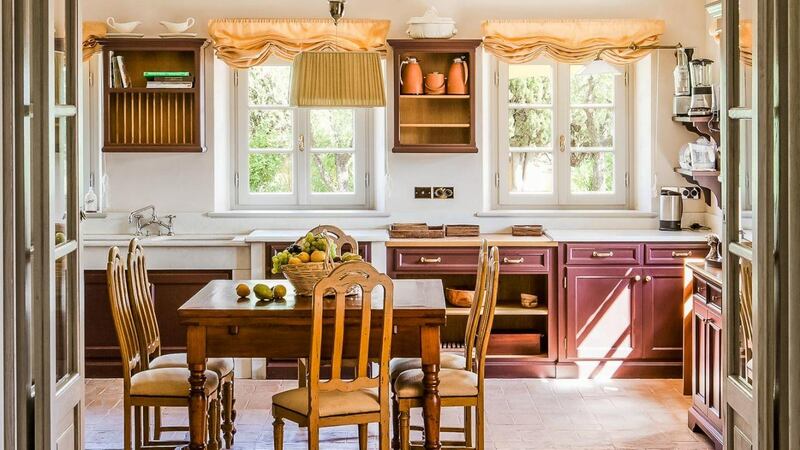 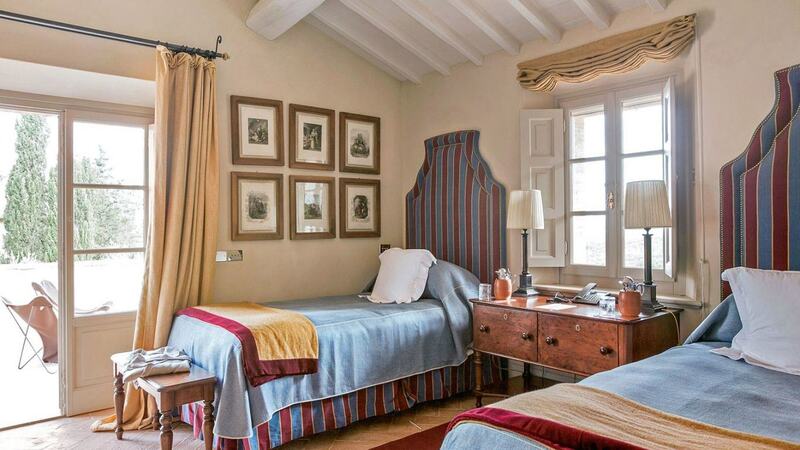 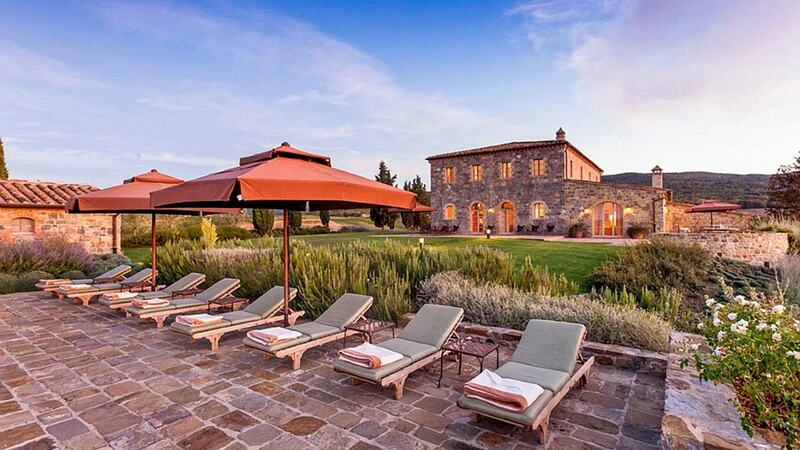 Villa Hillary is situated in a secluded spot overlooking the Borgo. 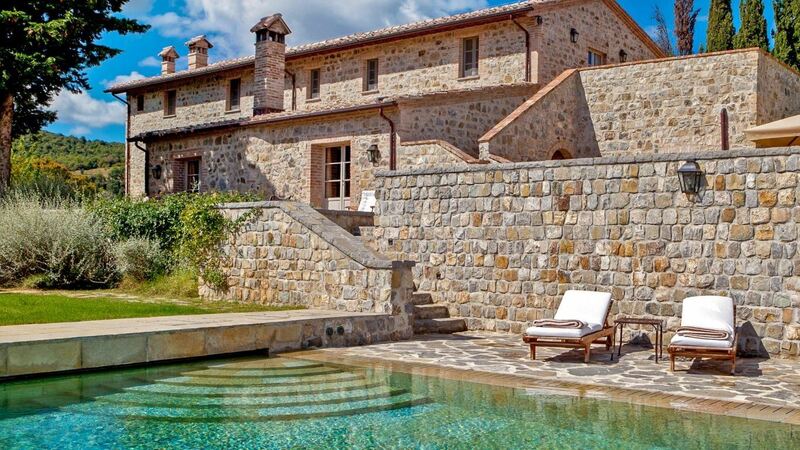 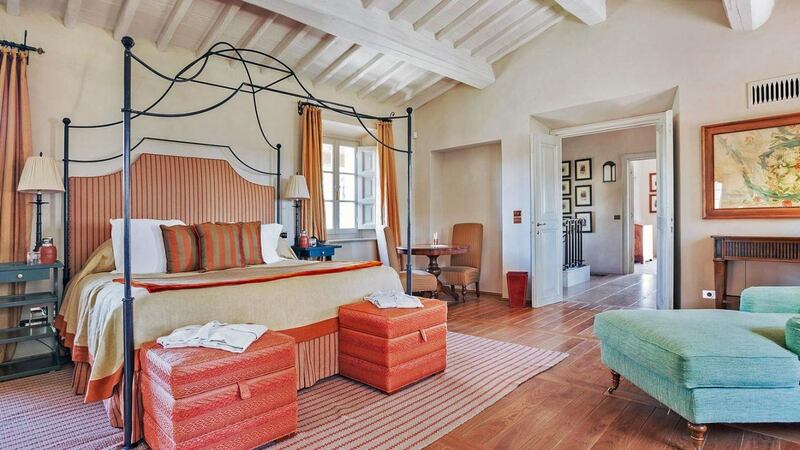 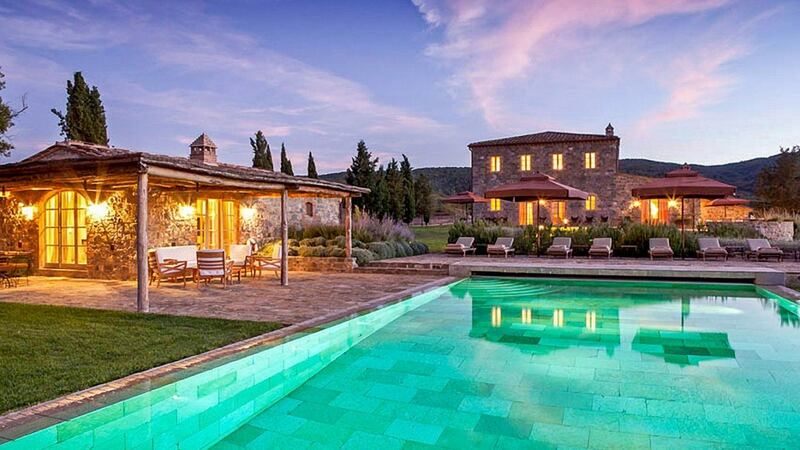 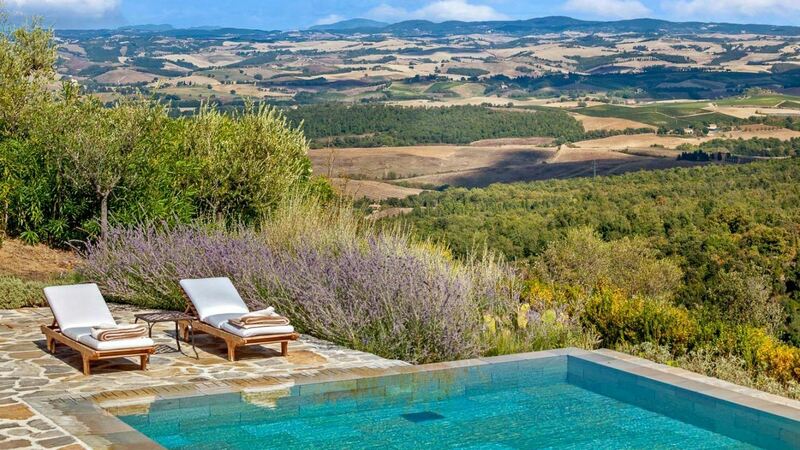 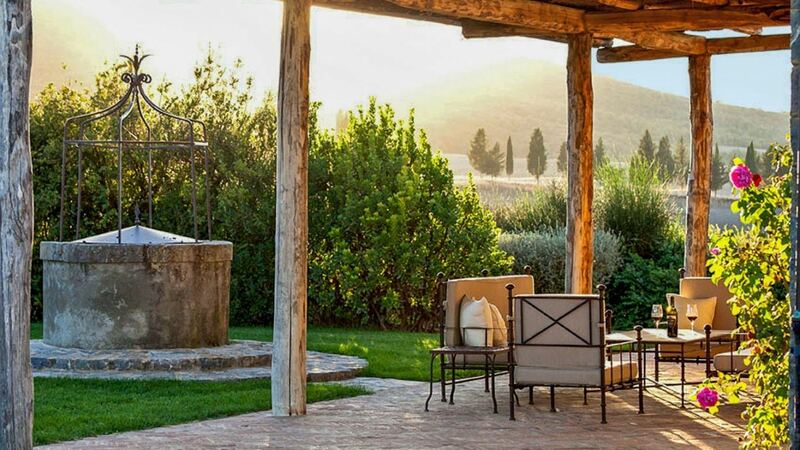 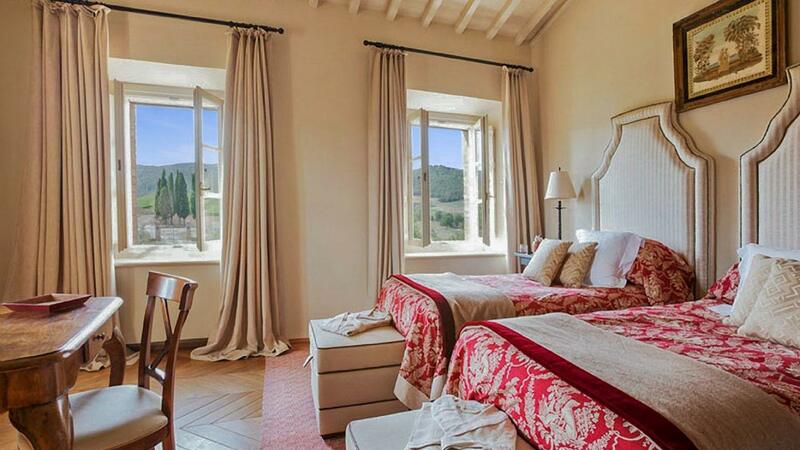 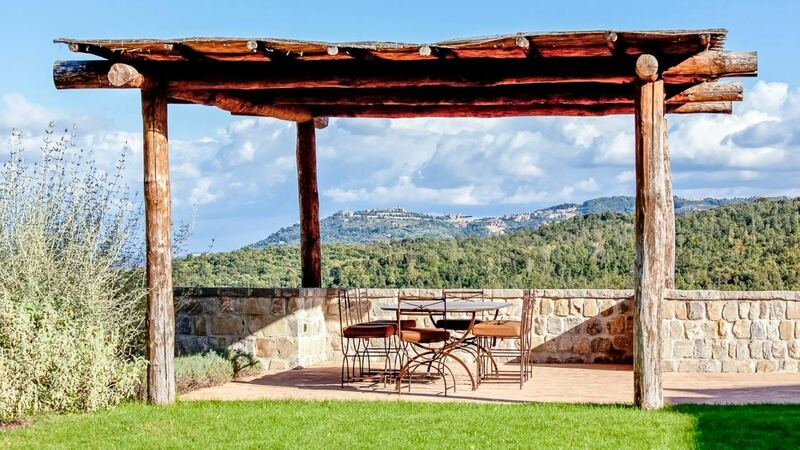 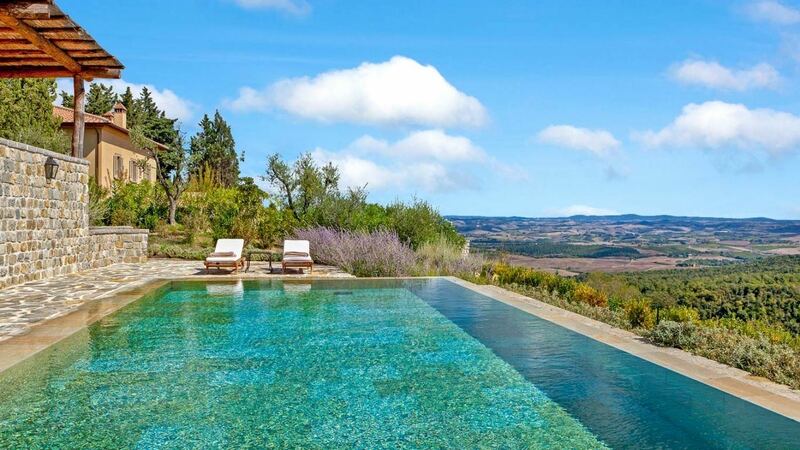 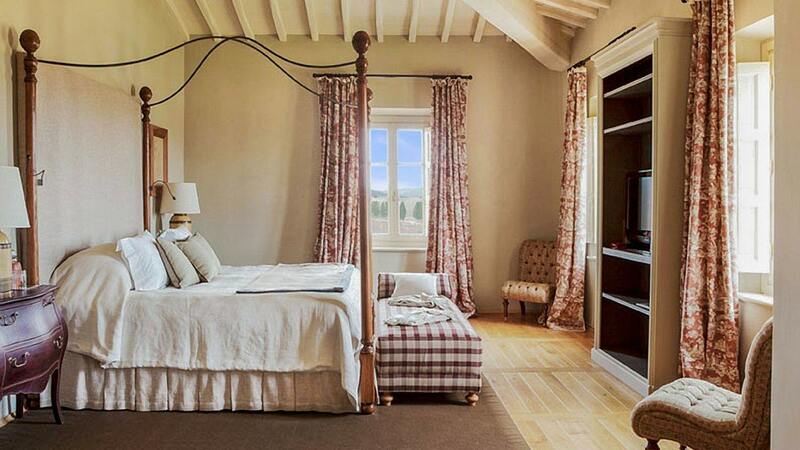 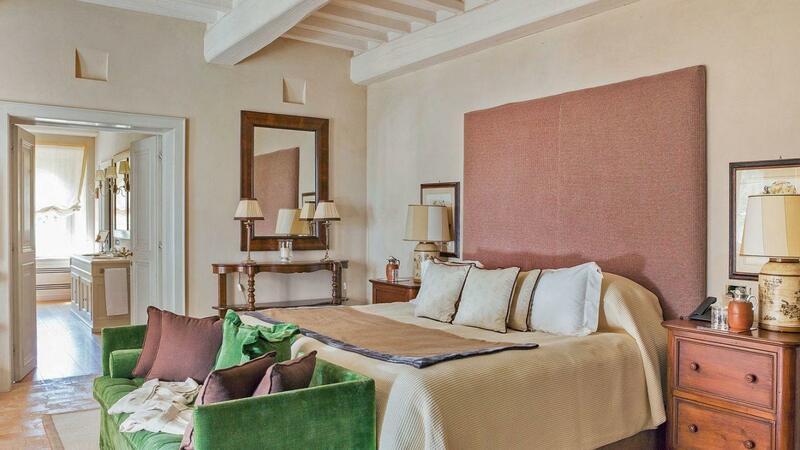 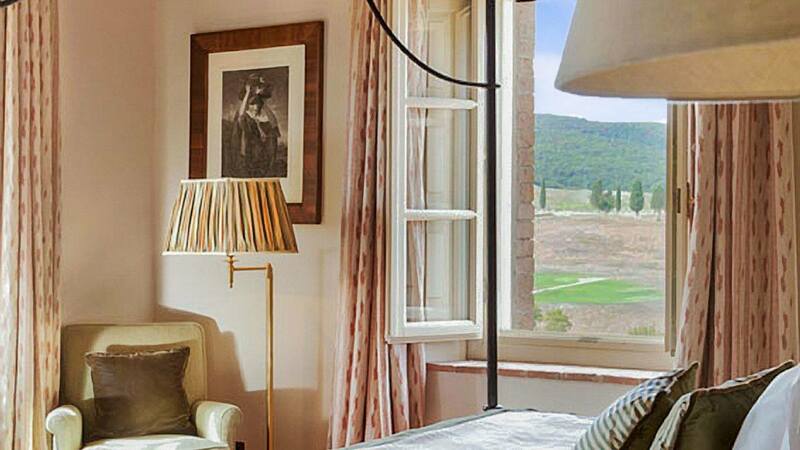 With stunning views of the area around Montalcino, breezy living spaces and quiet, private bedroom suites, the villa offers all the traditional architecture and views of the Tuscan countryside with touches of romance and luxury. 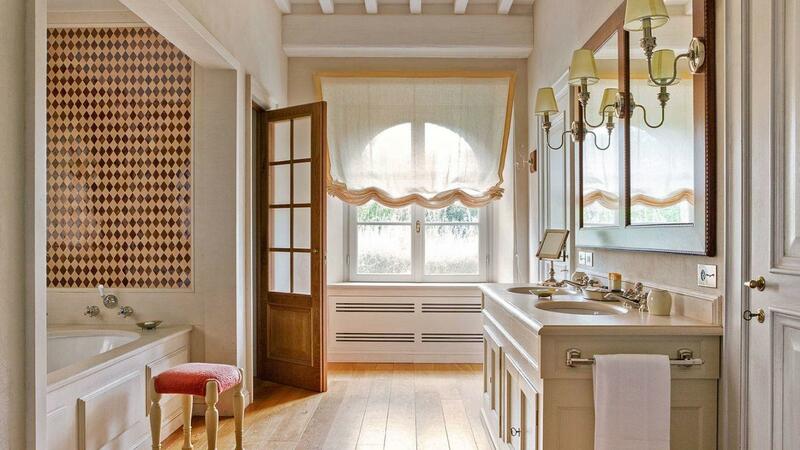 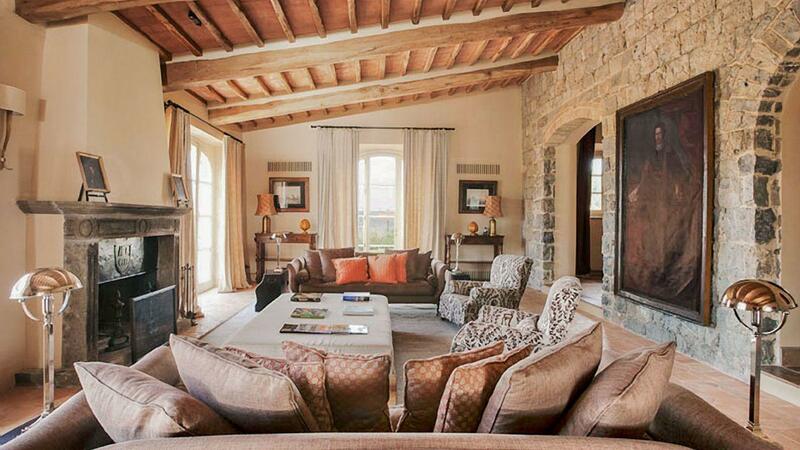 The interiors of the villa combine rustic charm with modern sophistication. 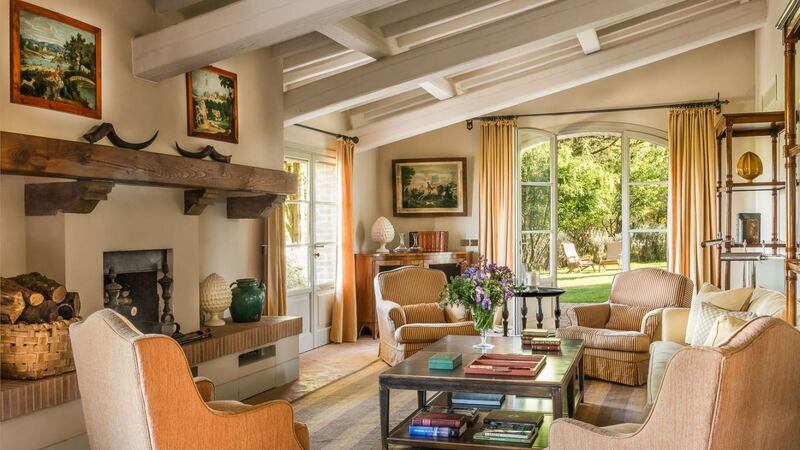 In the living room, a white beamed ceiling, brick floors and a long brick hearth topped by a hefty wooden mantel speak to the villa’s past, while soft-toned sofas and striped chairs provide 21st-century comfort. 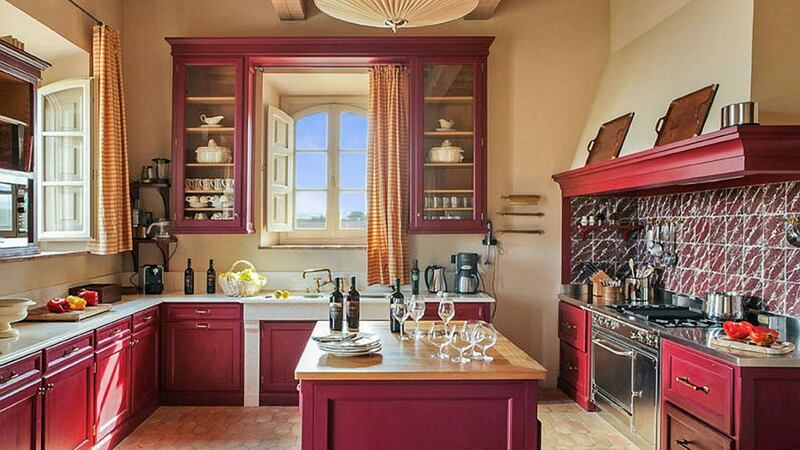 The large eat-in kitchen is fully equipped. 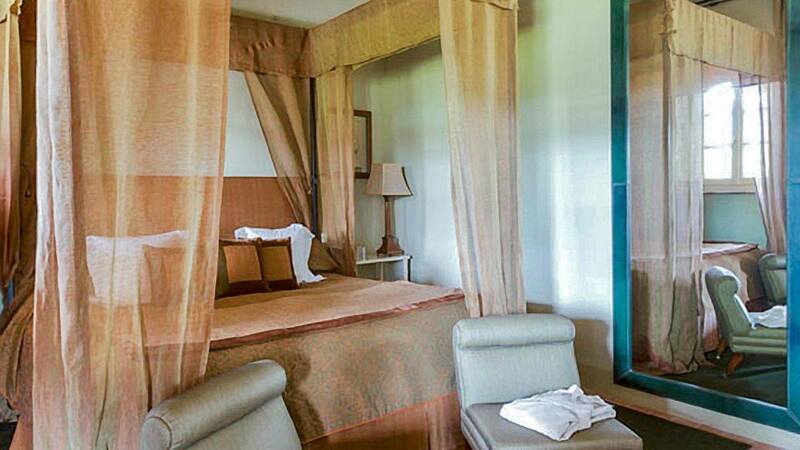 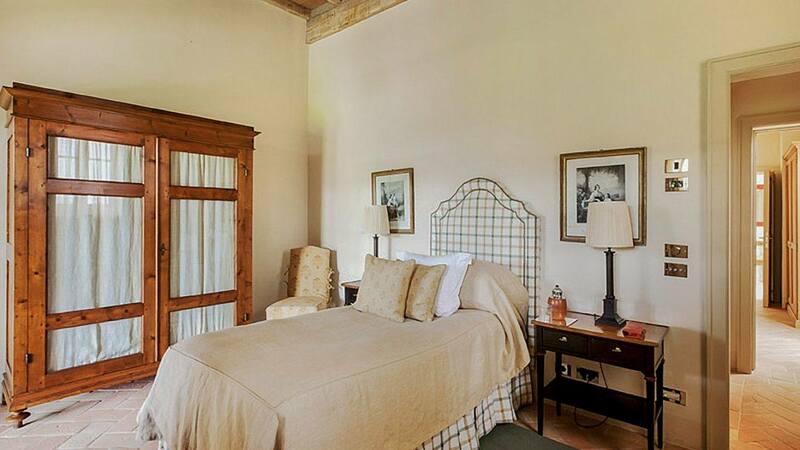 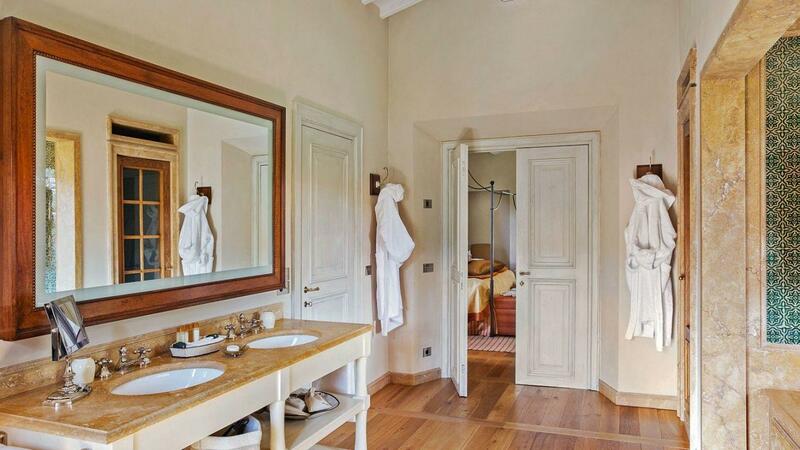 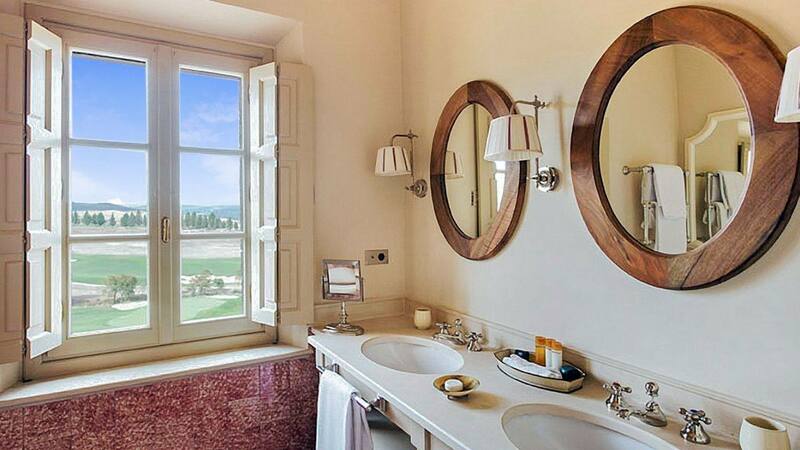 The villa’s three bedrooms each have an en-suite bathroom, walk-in closet and flat-screen TV. 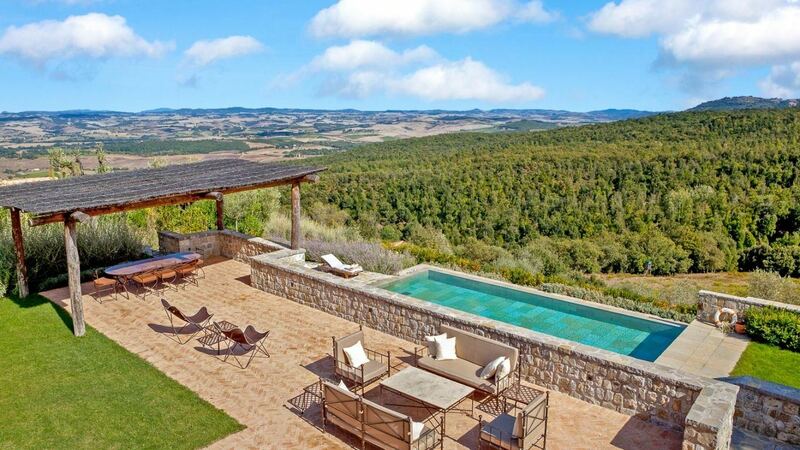 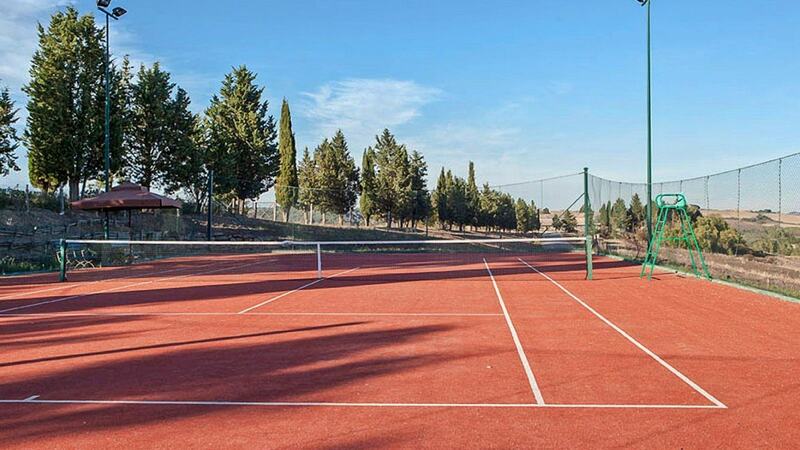 Just outside the villa’s stone walls, you’ll find the true heart of the home: a broad terrace with both sunny and shaded sitting and dining areas, plus a heated pool with panoramic views of the countryside. 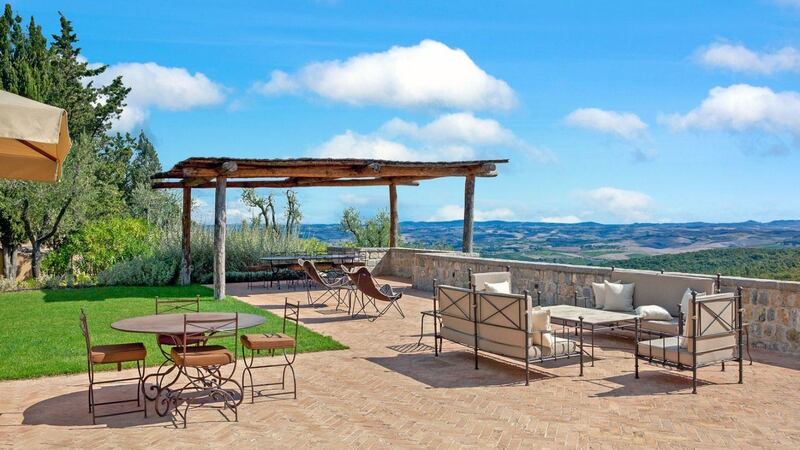 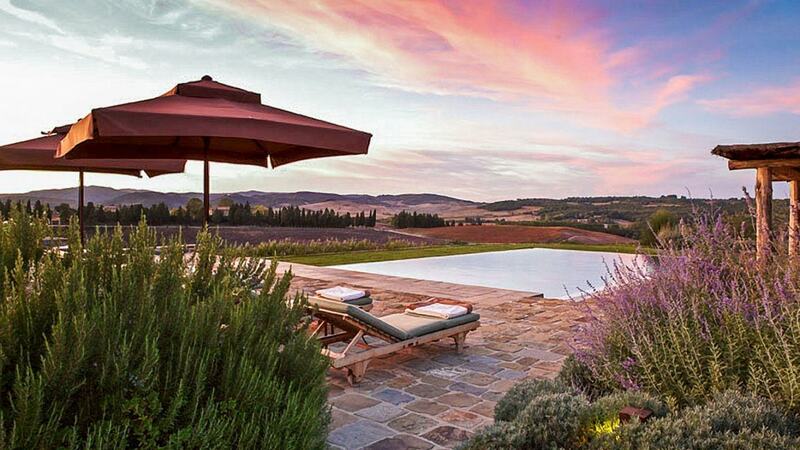 A second terrace off the villa’s second floor has even more space for lounging or reading under the Tuscan sun.